SCORE! Saved over 50% today! This is why I love coupons! First I would like to thank the super patient Wal-Mart cashier that helped me today! forgot to give cashier @ checkout) yeah they will do that. 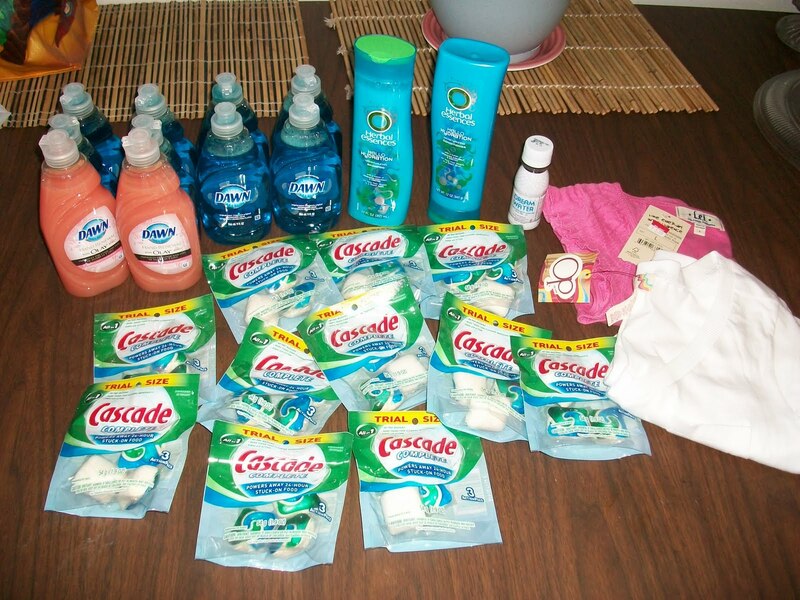 (11) Cascade action packs trial packages. I had (11) one dollar off cascade coupons with no exclusions. So any size. Total was $42 before coupons! Spent $18 even.